Allianz Real Estate invested $537.3 million into the Singapore office market by picking up 20 per cent stake in Ocean Financial Centre from Keppel REIT. 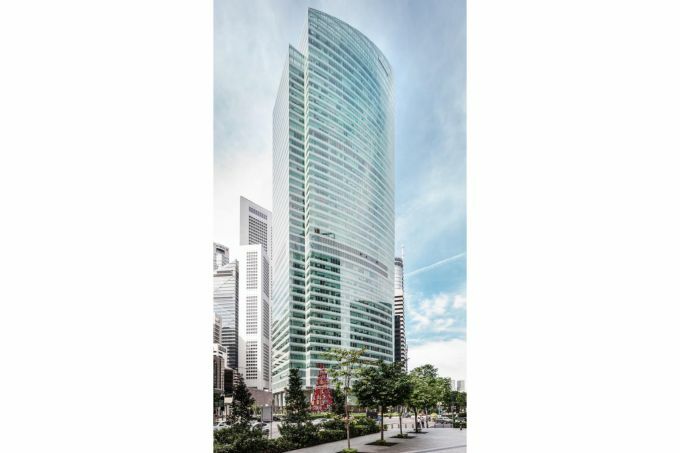 The Singapore-based real estate investment trust Keppel REIT, sold a 20 per cent interest in Ocean Financial Centre, a Grade A office building located at the heart of Singapore’s CBD, to Allianz Real Estate. This is the German insurer’s property investment arm’s first core investment into the Singapore office market. The transaction is subject to closing in December 2018. Ocean Financial Centre, which opened in 2011, towers 43 storeys above Raffles Place. With distinctive plant-covered external walls and energy-efficient features, it was recognised with the Green Mark Platinum Award and Green Mark Pearl Award in 2016 by the Building and Construction Authority of Singapore. The building offers a total net lettable area of 877,635 square feet of Grade A office space, with retail component on its ground floor and basement level. Current tenants include ANZ, BNP Paribas and Drew & Napier. “There’s a limited supply of premium office space in the CBD, in light of the lack of new completions in the CBD and the withdrawal of more assets for redevelopment and refurbishment. With rising investment sales and capital values, I’m confident we will see increased interest from both global and domestic investors off the back of this deal,” adds Mr Greg Hyland, Head of Capital Markets, JLL Singapore. 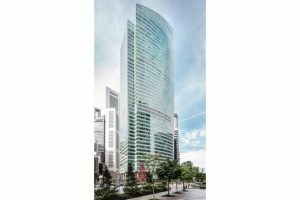 According to the real estate consultancy firm, Singapore’s CBD office supply will only grow from 2020 onwards, with the scheduled completions of ASB Tower and Afro-Asia i-Mark. In 2021, CapitaSpring and the redevelopment of Hub Synergy Point should complete, followed by IOI Properties’ development in Marina Bay in 2022. All these projects will add to the Singapore property market. The Singapore office market looks set to end 2018 on a high amid tightening vacancy and limited stock of new space over the next three years, said a recent study by Colliers International. The real estate services company said it particularly anticipates that Premium and Grade A office rents in the Central Business District (CBD) could rise by 14% for the full 2018. This would be a first double-digit annual growth since 2011 and the fastest pace of increase in the Singapore office market since 2010. Colliers’ Q3 2018 Office sector report showed that average CBD Premium and Grade A office rents rose 4.3% quarter-on-quarter (QOQ) to SGD9.20 per square foot per month (psf pm) in the three months to 30 September, following a 2.6% QOQ growth in Q2 2018. On a year-on-year (YOY) basis, average CBD Premium and Grade A rents increased by 15.2% in Q3. Strong headline rent growth and declining incentives probably underpinned the uplift in effective rents during the quarter, noted Colliers Research. The report said that office supply drought over 2019-2021 should keep CBD Grade A vacancy tight, below the 10-year average of 6.2%, even after accounting for the impact of slowing net absorption in 2020 and 2021 in accordance with consensus forecasts of a global economic dampening. In an earlier report Colliers said that the projected growth in premium and Grade A office rents is likely to be front-loaded, with a sharper increase being recorded in 2018, and tapering down to a 5-7 per cent year-on-year rise over 2019. It added that given that office rents have climbed by some 7.5 per cent year-to-date, it expects steady rental upticks in the Singapore office market to continue over the rest of 2018. The biggest gainers following the new property cooling measures were predicted to be strata-offices and shophouses approved for commercial use as they are deemed as attractive investments. Investors looking for alternatives to park their money could divert their attention to the strata office and shophouse markets as they are not subjected to this round property curbs. iCompareLoan is the best loans portal for commercial-property-seekers, buyers, investors and real estate agents alike in Singapore. On iCompareLoan, you will be able to find all the latest news and views, informational guides, bank lending rates and property buying trends, and research data and analysis. Whether you are looking to buy, sell or refinance apartments, condominiums, executive condos, HDB flats, landed houses or commercial properties, we bring you Singapore’s most comprehensive and up-to-date property news and best loans trends to facilitate your property buying decisions. Our trademarked Home Loan Report is a Singapore’s first one-of-a-kind analysis platform that provides latest updates of detailed loan packages and helps property agents, financial advisors and mortgage brokers analyse loan packages for their clients and give unbiased home loan/commercial loan analysis for their property buyers and home owners. Our distinguished Panel of Property Agents who are users of our Home Loan report can give the best all-rounded advise to real estate seekers. Previous articleP2P lending platforms – are they better than traditional banks?